Ello, I hope you all are enjoying your weekend. I just wanted to post about a hair mask and facial I did recently. It doubles as a hair and face mask! You will look a little funny, but here we go ^_^. I apologize for the lighting in some of the pics. It turned rainy, and grey outside. 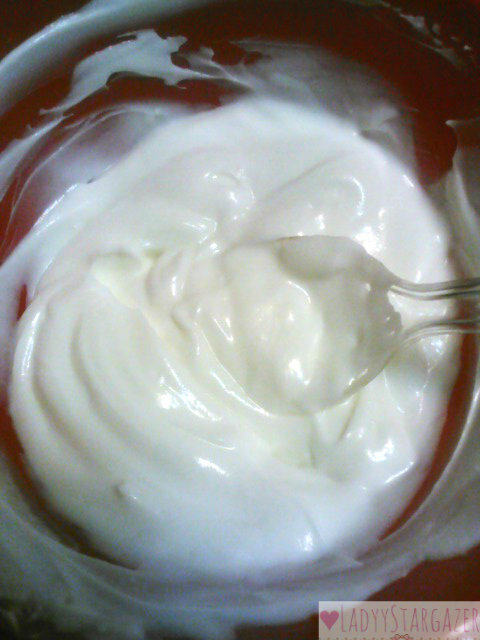 Scoop out enough yogurt to cover your hair and face. I used about 4-5 tablespoons, I believe. 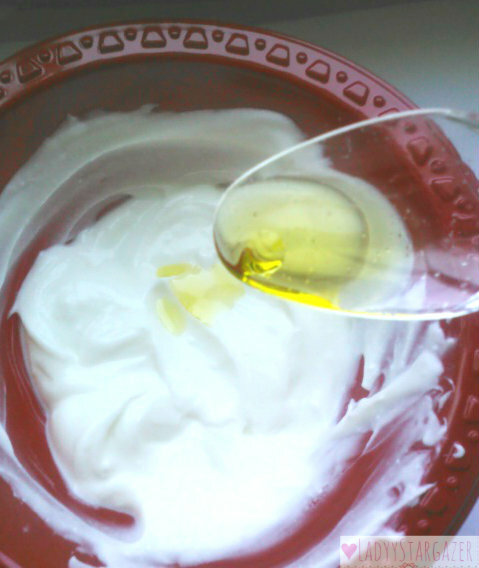 Apply your olive oil to your yogurt. 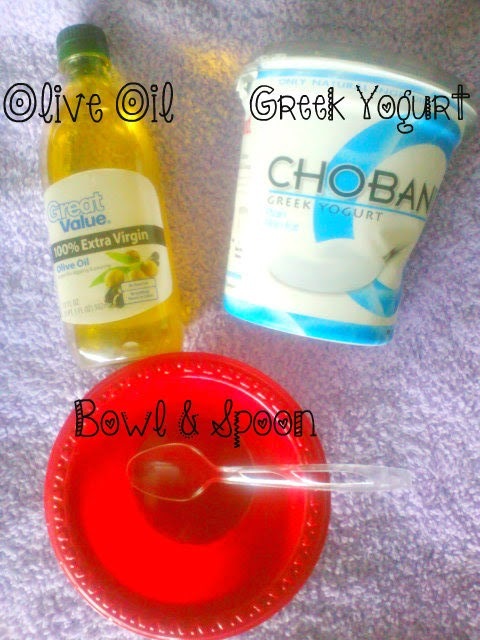 I used about 1/2 tablespoon of olive oil. Optional: You can add honey to this too. Honey is great for both your hair and skin! Apply to your face. This may get a little messy, depending on how loose you made your mix. Then apply the rest to the strands of your hair. I pulled my hair into pigtails, and put a plastic cap on. 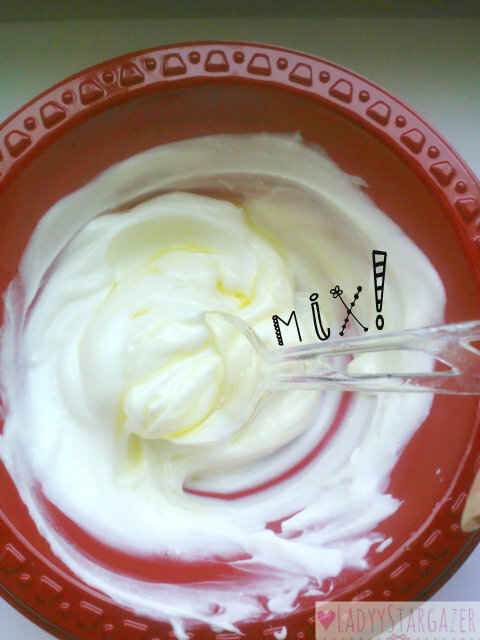 It is up to you how long you keep the mixture on. 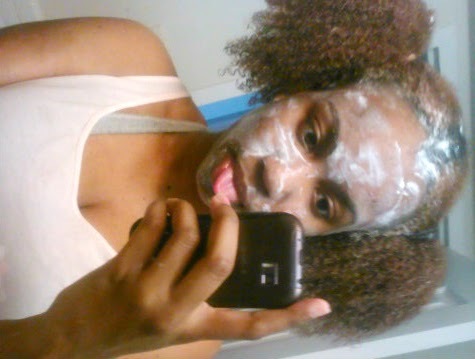 I kept the mix on my face for 20 minutes, and in my hair for 30. It left my hair and face pretty soft. If I had honey, I believe it would have been even softer! Well, that is it lovelies. 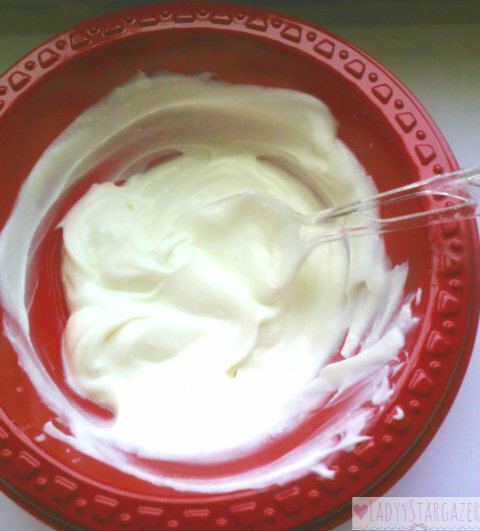 Have you all tried a yogurt mask mix of your own? Made a blog post about it? Drop it in the comment area, so I can try it too!